Phivos Tsoupras captures his second ever bob on camera thanks to his brother. Check out this video with two young Polish riders. 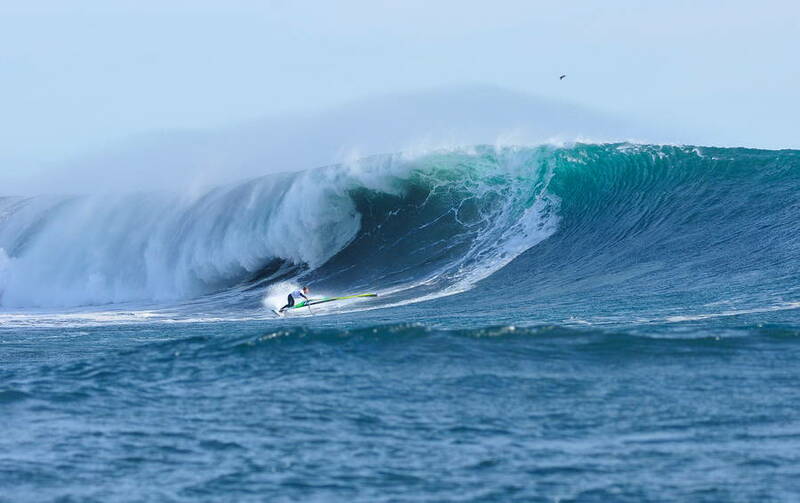 Nikodem Merlak (Pol 64) and Przemek Krzycki (Pol-194) spent all of July in Pozo and scored epic conditions. Brothers, Aleix Sanllehy and Eric Sanllehy on their last training trip to Chile, and having a great time!! Starring Diony Guadagnino, Deivis Paternina Teran, Bryan Comino, and some hungarian guests. This amazing clip comes from Christoph Valognes, featuring the NeilPryde team in action at different spots around the World. This clip is spectacular and a a must watch! The first ever PWA Excellence Awards have finally come and after much deliberation from the panel of judges. Action was seen from all over the World with crashes, crazy moves, huge waves and an amazing collection of short videos being submitted by both amateurs and the pros. Al this action one thing is for sure, windsurfing is very much alive and a global sport, from a massive wall of water at Jaws to an inland lake in the middle of nowhere. Keep reading for all the winners. A really nice video form the St. Barth Fun Cup. To recap the results, local Antoine Questel (FRA-99) won the Slalom competition followed by Taty Frans (NB-9) in 2nd, and Björn Dunkerbeck in 3rd. On the ladies side, Delphine Cousin won ahead of Sarah-Quita Offringa. WHY is a short movie about an unforeseeable change. The dutch windsurfer Amanda Beenen takes us back to the origin of her windsurf passion. In 2004 – where this story starts – horse riding was her favorite thing to do. Back than it was very unlikely that she would ever live the life she is living now. A traumatic accident changed everything and her life turned in a totally different direction. Almost a decade later, it is clear to see, that without this incident she would most probably still horse ride and would have never put her feet into the straps of a windsurf board. Some sweet footage from Henrik Jamaer, as the sun sets in Cape Town South Africa. Check out this sick Shove it into Double Spock by Steven van Broeckhoven, which was shot in South Africa. 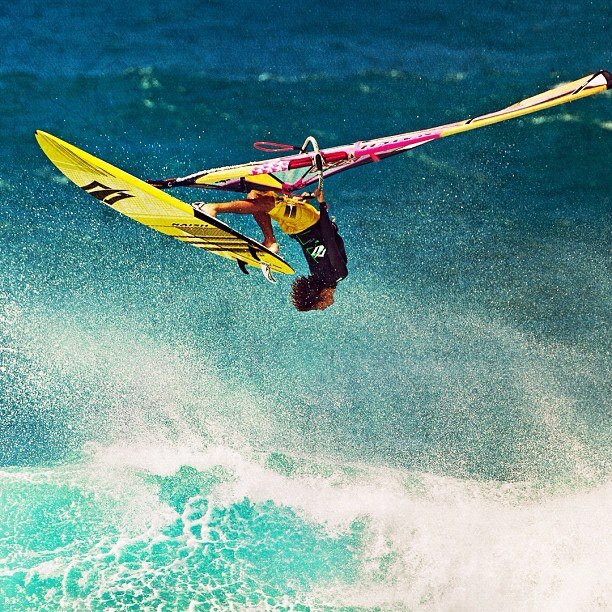 Andre Paskowski has officially announced that the production of his new windsurfing movie has started. With the announcement he has already confirmed the title as ‘Below the surface’ and announced the world premier, scheduled for this year’s RENO Windsurf World Cup Sylt near the end of September. filmed by: Jo Reitberger, Meikel Thies and Valentin Böckler. February 2013, we are on the way for our first trip to Cabo Verde. We enjoyed 10 days on Sal, but we were happy to head further to Sao Vicente. As we didn’t know yet what kind of a crazy hustle was expecting us. The Airplanes didn’t take our equipment, the regular boats where cancelled, because of Carneval, leaving the island seemed impossible. Fortunately we found a small container boat leaving to Sao Vicente. It was a crazy hard ride over the Atlantic. After 16h on the sea, we made it to Mindelo. Philip Soltysiak does a Bongka in Jericoacoara.